Once logged in, click on My Workbench in the top administrative menu (i.e., top left). Click on Main Content (tab) at top of page (i.e., next to the Navigation tab). 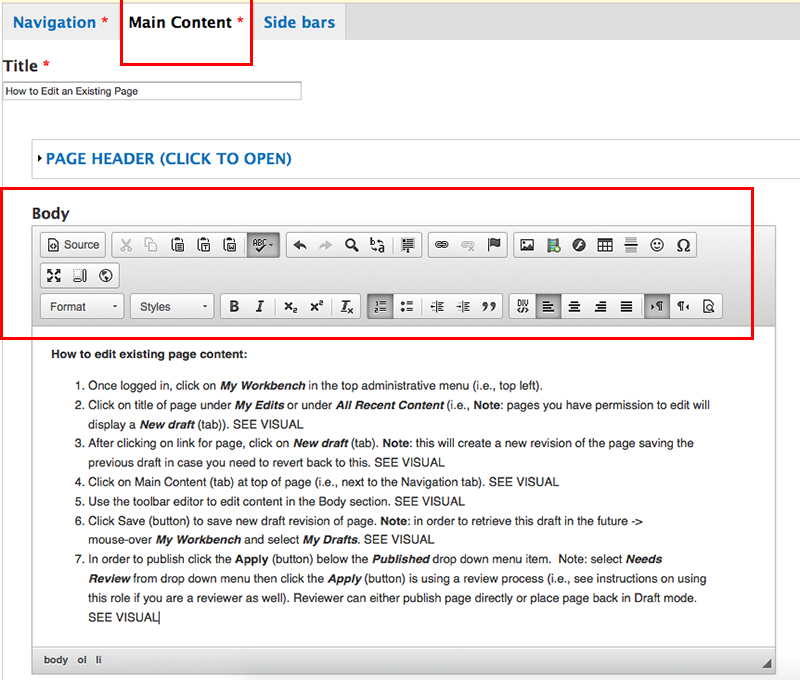 In order to publish click the Apply (button) below the Published drop down menu item. 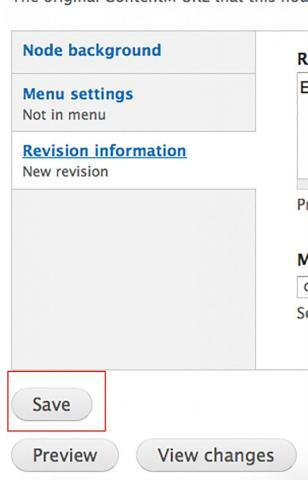 Note: select Needs Review from drop down menu then click the Apply (button) is using a review process (i.e., see instructions on using this role if you are a reviewer as well). Reviewer can either publish page directly or place page back in Draft mode.